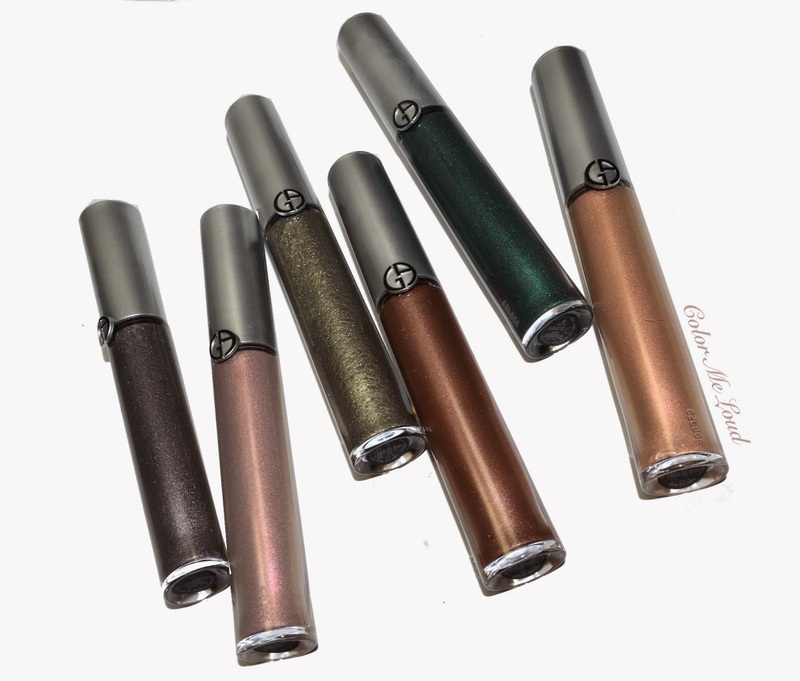 After my first encounter with Giorgio Armani Eye Tint #10 Senso, I was smitten by the ease of use and the beautiful effect on the eyes, so from that point on, it went... a bit crazy. In the name of making an attempt to stop this crazy splurge, I am going to share my thoughts about each of the shades I own. I also have many eye photos and FOTDs for you. So be warned, this is a photo intensive post. I have selected six of the shades almost randomly, most of them I have ordered online sigh unseen. Then once they were in store, I picked up a few more. I use the word "random" because these apply very different on the eyes than they swatch. Here is a swatch of all the shades I own but I doubt it tells something on its own. This is why I have many eye photos for you. Here are a few things to note down before we start. There are different finishes and intensities of Eye Tints. So if you like one, it just doesn't mean you have to go and buy them all (as I have done). I hope this post helps you make a better choice. #7 Shadow was the first shade I thought I have to have, because, purple you know. And I love cool purples. It turned out though Shadow is more grey than purple on me. It is also very very metallic in finish and is one of the intense shades. #8 Flannel and #11 Rose Ashes are two of the duo chrome shades of the range. On my light to medium skin tone and a little darker eye lids, they don't show so well. I like using these two as an inner corner shade and mix it with another one. Both of them are also gorgeous once layered on a deeper shade. Then the duo chrome comes out, just like those sheer duo chrome nail polishes which show its true beauty once layered on black. #10 Senso this is the first one for me and still my favorite. Its finish is not too metallic, is a little duo chromish but because it is not as pale as #8 or #11 it shows much better. Check my in-depth review here. #5 Onyx is a gorgeous cool green. I love the shade but the finish is not even metallic, it is very glittery. It looks so beautiful in rest room lighting, almost twinkling on the eyes but be warned, all those glitter wanders under the eyes during the day. #4 Emeraude was the third color, I said I need it after #7 and #10. I love the finish if this one, close to #10 Senso, not too metallic nor glittery, very beautiful. This one is denser than #10 though and applying it in the morning is more of a challenge. I need sometime to get the shape right on my eyes so it is not a swipe and go shade for me. I was a little disappointed once I applied #7 Shadow. Where is the purple? All these eye tints appear cooler on the eyes than they swatch on the back of my hand. #7 Shadow is no exception. The finish is also more metallic than I personally prefer. 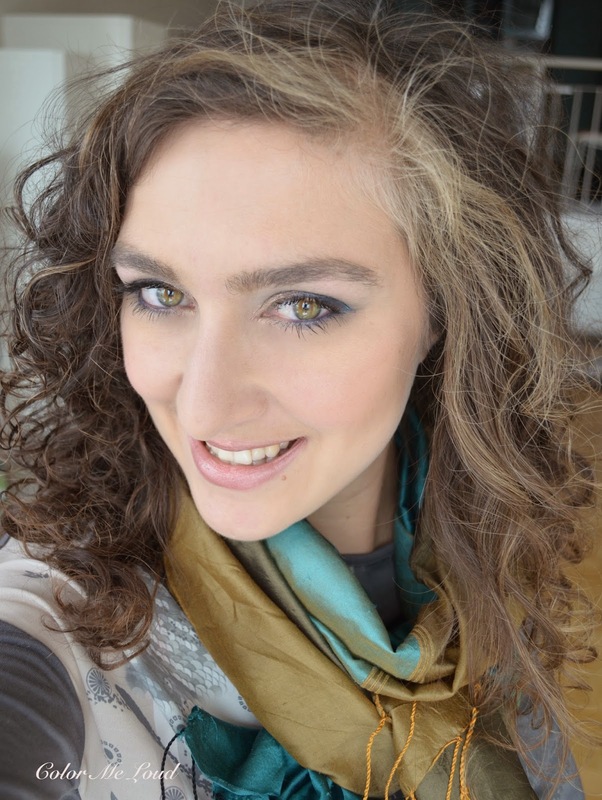 Nevertheless it is great if you pair it with classical red lips, like I did in this post (see FOTD with MAC Lipgloss Victoriana). I really like it but it is not love for me. As I have written above, I need to couple #8 Flannel and #11 Rose Ashes with something else because those very light shades make my eyes look swollen. Below I have applied #8 Flannel on the inner corner to the half of the lid and blended with #10 Senso on the outer lid. It gives a lovely neutral look. 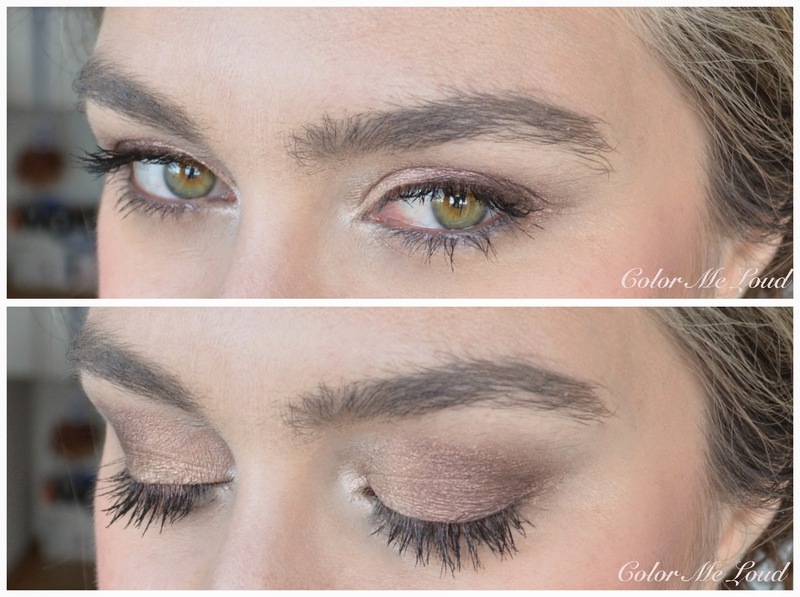 These two shades were easy to blend but it was hard to get them the same on both eyes so if you decide to get more than one shade of these on your lids, you need some time in your hands. If you want to couple one of the dense shades, such as #4 Emeraude with a lighter shade, say #11 Rose Ashes, then you need some experimenting and some time to get it right. The below look was done in about half an hour. I could get a powder eye shadow in 5 to 10 minutes. What I am trying to say is that not each and every shade of this range is skip and go. They are gorgeous nevertheless. After playing with them for sometime, I think the best way to start a look such as the one below is to apply the darker shade (#4 Emeraude in this case) all over the lid, blending from lash line to the brow bone with fingers. Then you should layer the lighter shade (#11 Rose Ashes) on top. 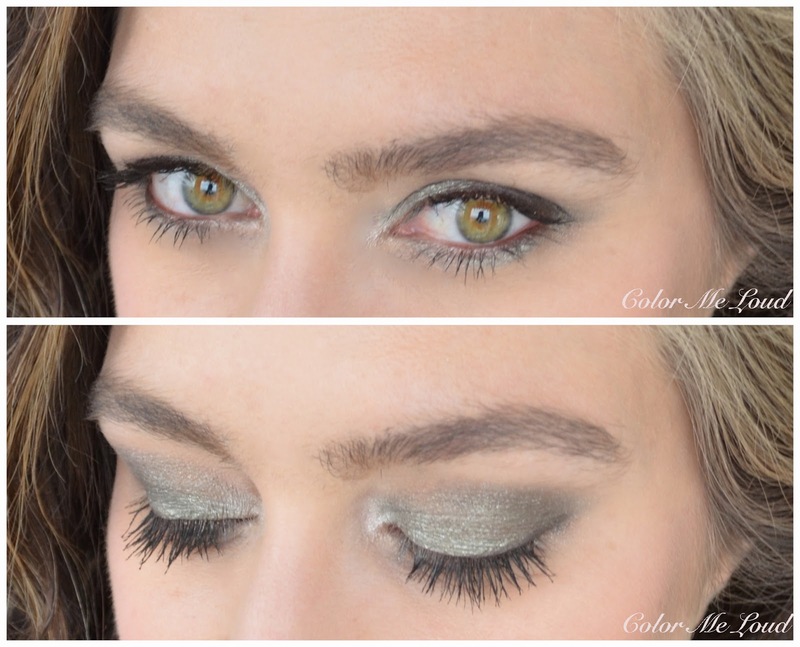 This way they blend much better and the duo chrome of lighter shade is stronger. Here is the look in context. I am also wearing Tom Ford Frantic Pink on the cheeks and Tom Ford Lip Color in Peter on the lips. 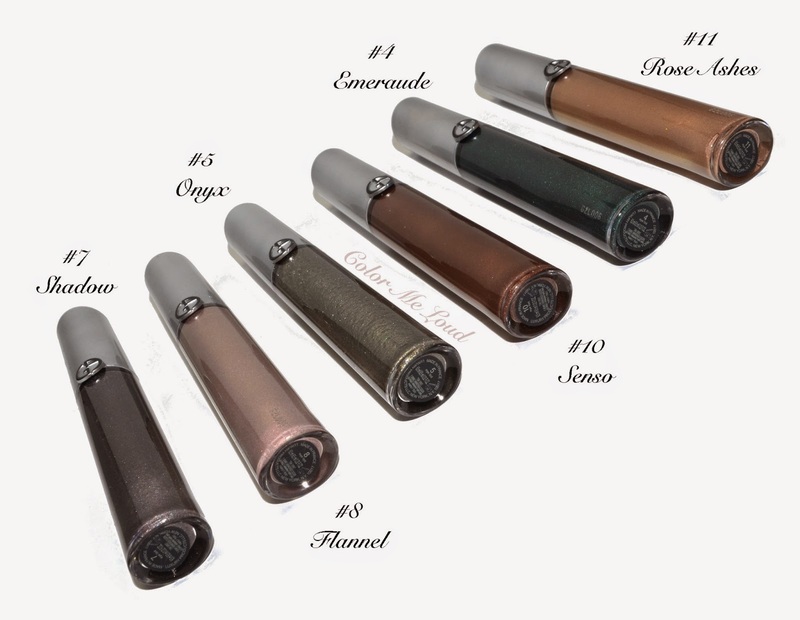 I really liked the combination of #11 Rose Ashes and #4 Emeraude. I just wished it would be easier to do, then I would do it more often. Now the real glitter comes. #5 Onyx is not for the light hearted. It is beautiful but I felt that the base was not strong enough to hold the glitter. I might need something more sticky under this because glitter was on my glasses and under my eyes at the end of the day. Good thing about Onyx though is that it is applied very fast. Just swipe it on your eye lids and blend it a little with your ring finger and you are done. Below I added MAC Nylon on the inner corner and MAC Brun on the outer corner, very lightly to define the crease. Here is the look in context. I improvised here with the lip color, mixing a few, so I can't really tell you what it was but I believe I am wearing Tom Ford Wicked on the cheeks. You see, I can't get enough of Tom Ford Cheek Colors. Maybe I need to do a post about them too? 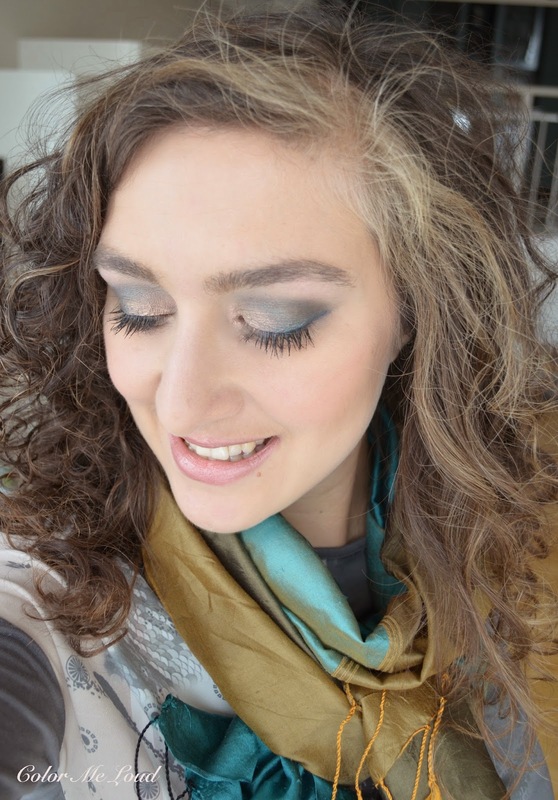 Check out more swatches on Chic Science, Belletristic Beauty, The Beauty Look Book and Expat Make-up Addict. Final thoughts: After trying all six colors, #10 Senso is still my favorite because of its satiny but unique finish and mid-toned easy to wear and blend color. Some of the shades are a little too metallic or glittery for my taste. The best ones, which are duo-chromish, are too light for me to wear on their own. Nevertheless these are all seriously pretty and deserve attention. Just not grab all of them at once and think what you like wearing and what not before committing. Have you picked up any of those? Which one is your favorite? Disclaimer: #10 Senso was provided for my consideration. I have purchased the others. I am not paid for this review. Thank you. The description of the different textures of the tints is so helpful. Of all the colors, I like Onyx the most but I did not care for the glitter. I love the way it looks on you but I did not get it. I got Emeraude, haven't tried it and have been debating returning it. I would most like to use it as a lash line shadow but I am not sure it would hold up and might smudge. Actually thanks for pointing it out. I would like to write about using these as liners. It didn't work for me. I tried and the effect was not dense enough for upper lash line (because I like things dark there). These apply along the lower lash line beautifully but not on water line. I know, I think I did wrong by picking up Onyx, I should have gone for Green Iron instead. I just thought Onyx is a cooler green, which seems to be fitting my complexion a bit better. 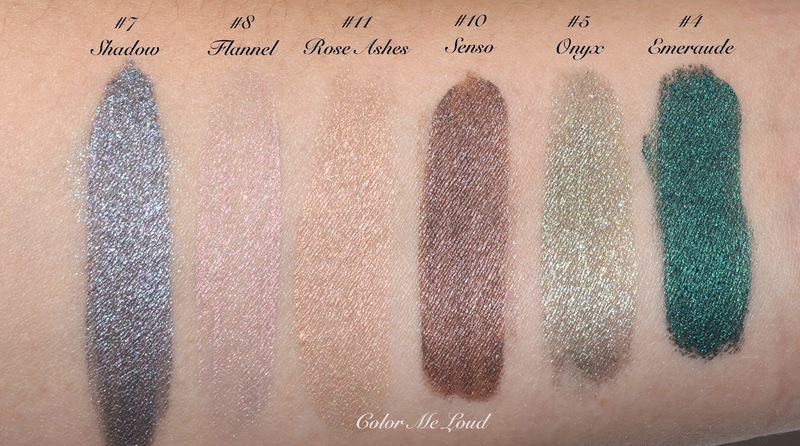 I am also intrigued by Cold Copper, which is also super pretty but swatching is a thing, getting it on the eyes is another. I am afraid that Cold Copper will end up like Onyx. Wow, this post was amazing! So detailed :) Senso shall be mine! You are lighter than me so there is a good chance that Flannel would show up more on you. Senso is a must have. let me know how you like Senso. It is really so pretty. 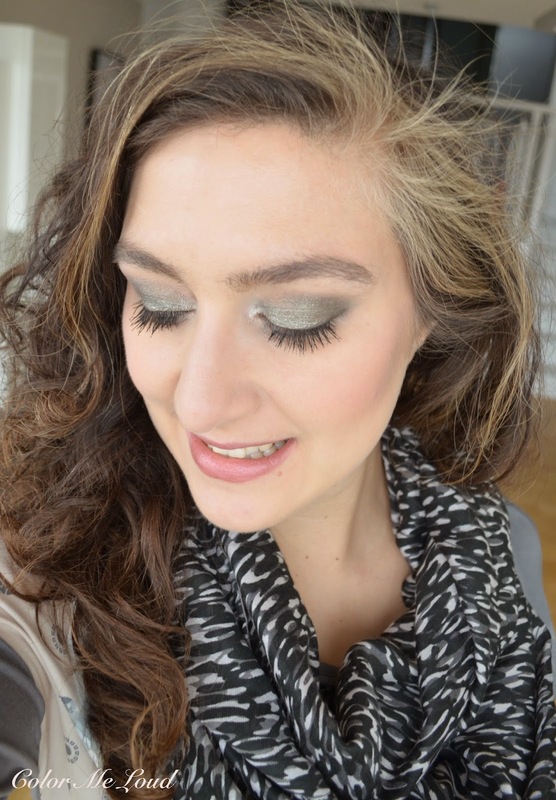 You've achieved stunning looks with the Eye Tints. It's disappointing though that some of the tints can be time consuming and difficult to blend. Your post was very helpful. I am thinking of buying Shadow. How easy or difficult is it to sheer out? What kind of brush do you use or just fingers? Many thanks. #8 Flannel and #10 Senso is a very beautiful combination! As much as I like the cream eyeshadows, I notice that I don't use them very often because I guess I am lazy to apply them and its quite tricky indeed to mix more than one color. My patience is only enough for stick eyeshadows at best:) Also the fact that they expire faster than dry eyeshadow clashes against my practical sense. Though, I like a lot how they look on you. such a pity! I didn't know it is hard to find there. I believe they have a counter in Zürich, don't they send if you call them? Also if you need help let me know anytime. yes I also always think that these will go bad sooner than their powder counterparts, which is a pity. 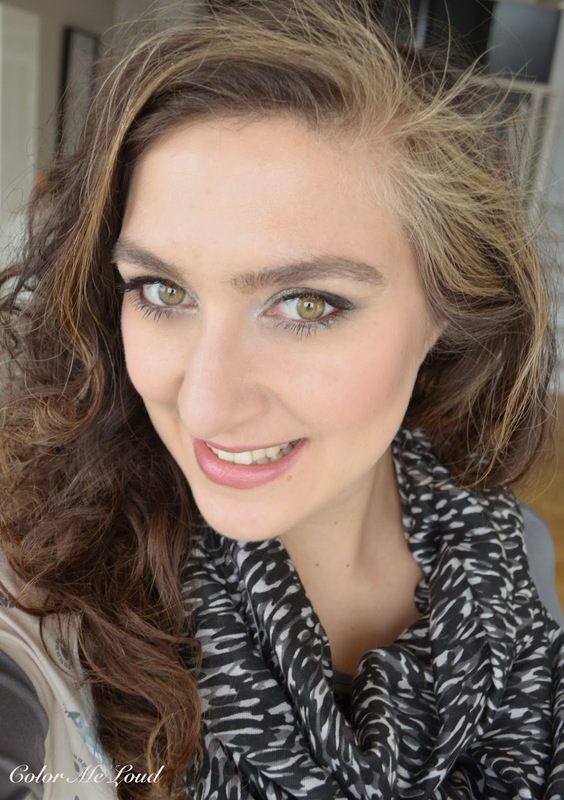 I have many Chanel Illusion d'Ombres and they are a little hard at the moment to apply. I hope I can get use out of these before they expire. thanks, I liked that combination too and that one was easy to blend, since the colors are not too different. Hi Anne, thanks. It depends on the Eye Tint, they are all very different in terms of finish and pigmentation. I think the formula works best with medium pigmentation and satin to metallic finish. I think #7 Shadow is beautiful, I actually like how it looks almost navy! And Onyx looks stunning on you! 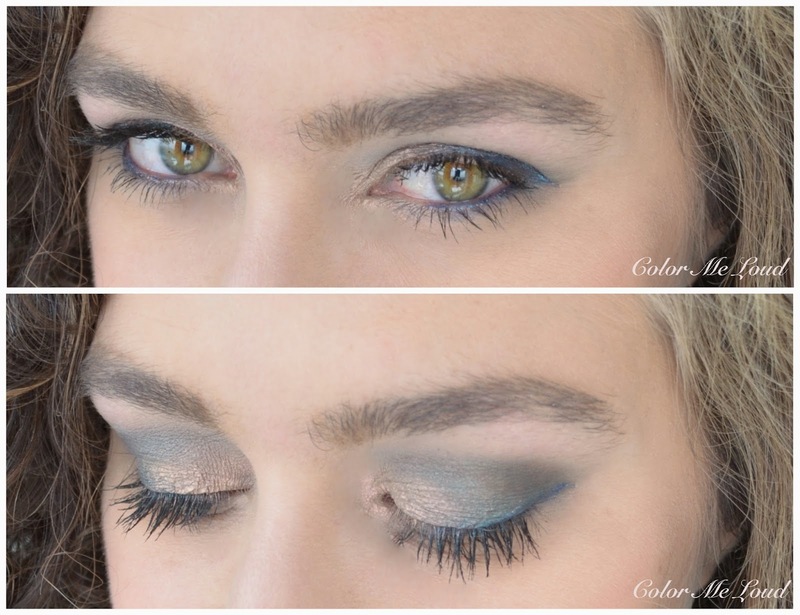 if you like steel blue type of shades, you will love #7 Shadow! Onyx is really pretty, just the fall out was a bit of a let-down. Thanks so much for linking my post in Sara! Oh I just noticed you got Disqus! I have more than 10 of these too. I remembered now that I read few times that Inglot Duraline was successfully used to revive dried cream eyeshadow. I am going to buy it and add a drop of it to them (omg, how do I dare to say that :) Duraline is mix of silicones, looks eye friendly. I don't believe in product expiration, but will try the result first on one eye only :) I think I wasn't fair about cream eyeshadows above - today was thinking which eye makeup can I do on a trуmbling train with only one small brush and tiny mirror and took a foolproof rosy shiseido cream eyeshadow. It took me 1 minute to apply it, looked perfectly blended and accurate and lasted 16 hours on me (including 11 hours in a hot train). No signs of creasing, even felt sorry for removing it now. they are seriously gorgeous, especially within the packaging! Unfortunately, it seems that the swatches/application tends to be slightly different! Still, the more green toned shades are killing me! So gorgeous! oh no, not you AND Sunny together!!! I think i'm good with all the TF cream pots i'm collecting.... but you are making it impossible to resist! I actually considered placing an order for these, when I remembered that I'm very bad at using cream eyeshadows.